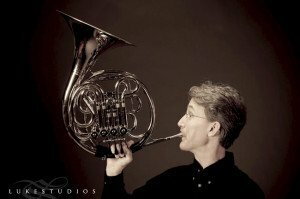 Hi, I am Greg Beckwith, horn player, musical instrument repair instructor and technician. I started my musical journey in the state of New York on clarinet and piano, because mom was a piano teacher, and dad was a clarinetist. But I didn’t last long at either once I discovered the horn! It was a usual course of private instruction and youth orchestras and every opportunity possible to keep it on my face. Stops along the way were: Interlochen Arts Academy for High School, Eastman School of Music, and St Louis Conservatory of Music. Professional groups have been the US Air Force Band, The Mexico City Filharmonic, Minneapolis Chamber Symphony, extra/sub with MN Orchestra, and presently the Rochester Symphony Orchestra. I have had the opportunity to tour, play jingles, freelance and record. I have played just about every genre’ from Opera with Placido Domingo and Luciano Pavarotti, to Blues with Ray Charles, to rock and roll at Pacaderm Studios in Cannon Falls. Currently I play with a brass quintet, the Rochester Symphony, the Minneapolis Pops, and occasional freelancing in the area. My mainstay job is teaching musical Instrument repair to students who arrive at the doorstep of MN State College SE Technical – Red Wing, to learn how to restore wind musical instruments. I reside in Red Wing with my lovely wife Susan and our energetic Lab Gingersnap. We do anything and everything to be outdoors and enjoy pretty little Red Wing as our home. Thank you for attending the “Mpls Pops” and have a great summer!